When Anna visited China in The Year of the Fortune Cookie (book 3 of the series), she befriended a teenage girl named Fan, who worked in the hotel where she stayed. 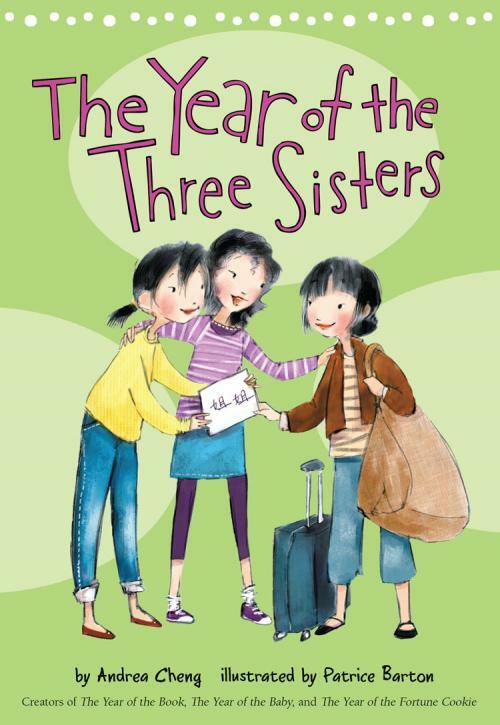 Now, in book 4, The Year of the Three Sisters, Anna's friend Andee and her family have agreed to host Fan as an exchange student at the local high school in Anna's town. Though the initial planning stage is complicated, everything falls into place and it seems like Anna, Andee, and Fan will have a great year living as sisters. Unfortunately, though, while Anna understands Fan's need to work hard and please her family back home, Andee can't figure out why Fan doesn't want to have more fun experiencing American culture. Anna starts to worry that Fan's visit might ruin her friendship with Andee. The most interesting parts of this book are the details about Fan's life as a migrant in China. Readers who are not very familiar with Chinese culture will be fascinated and perhaps troubled by the position Fan and her family hold within the social hierarchy. Andee's lack of understanding of the situation is likely to mirror what most readers feel as they read these scenes, and her slow realization about how she could be more fair to Fan will help readers become more compassionate toward Fan as well. Readers will also easily relate to Anna's feelings of being torn between two friends and feeling lost at school now that Andee is in high school and her friend Camille is at a special school to help with her learning disabilities. This book is not as strong as the three that precede it, and it seems like this might be an indication that the series has run its course. As the characters get older, it becomes more difficult to tell who the audience might be for the books, and Anna continually feels young for her age. It is nice to have some books set in middle school that are not consumed by superficial drama, but Anna's voice sounds very elementary and her concerns are better suited to a fourth grader than a seventh grader. Andee also doesn't seem like she could possibly be in high school. Some middle school students will certainly enjoy these books, but they seem like they would be most appealing to fourth and fifth graders.